We are leading manufacturer and exporter of Skid Mounted Mobile Oxygen Plant and Nitrogen Plants in India. We have manufactured over 500 Air Separation Plants & Equipments since 1985 in technical collaboration with ING. L & A BOSCHI, ITALY over 30 years. We are manufacturing oxygen plant mobile skid mounted version which you can move one place to another place easily. It is compact and containerized highly efficient and durable oxygen plant. Premium quality materials are used in the making of the compact oxygen plant and machinery. 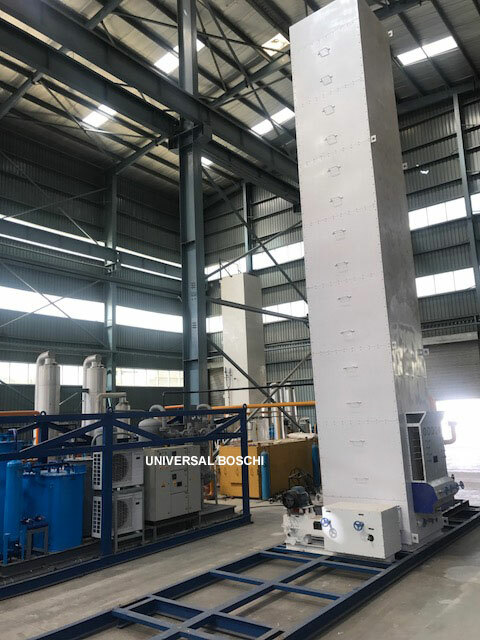 Our high quality portable oxygen production plant is very useful for small and medium scale hospital medical industries. ZERO maintenance Atlas Copco air compressors. No concrete foundations as all machinery is skid/floor mounted. Latest technology of ING. L& A BOSCHI ITALY- Our complete technology, designs and manufacturing skills have been acquired from ING L&A BOSCHI, ITALY and perfected in the last 30 years. Dr. Boschi has certified our plants to meet international specifications and we are certified ISO 9001:2008 Company and selling under the same world are known ‘Boschi’ Italy brand name. Our skid mounted design and technology is world-famous. Our skid mounted plants do not require any foundation for their working and saves you a lot of space. Use of skid mounted technology is economical and effective for small industries. It is especially designed for air force, navy and other similar organizations where movement is important. AIR SEPARATION UNIT (COLUMN- COLD BOX) – 100% stainless steel column as per ASME standard. 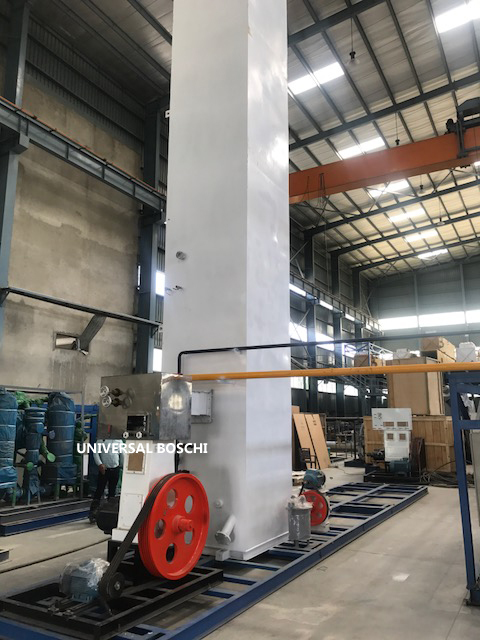 PROCESS PURIFICATION UNIT (SKID MOUNTED) - Compact Boschi Design. AIR COMPRESSOR- Steady Design Oil Free Rotary Air Compressor. LIQUID OXYGEN PUMP- For Filling Oxygen Cylinders At 155/200 bar. OXYGEN CYLINDER FILLING SYSTEM- Oxygen is filled into gas cylinders by the latest system.